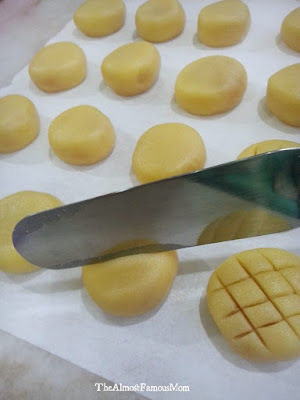 It has been a while since I last updated my blog - been really busy with work and wedding dinners, truly an exciting way to kick start my 2016! 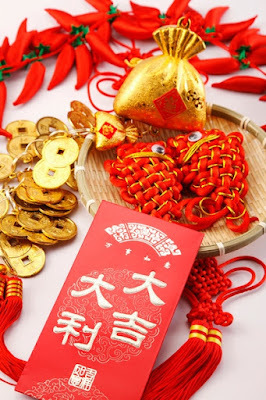 Happy Chinese New Year to you and your family. Wishing you and your family a happy and prosperous Chinese New Year. As Chinese New Year is just around the corner, I've also been busy baking cookies and today I'm going to share with you my new found love (opps...recipe). 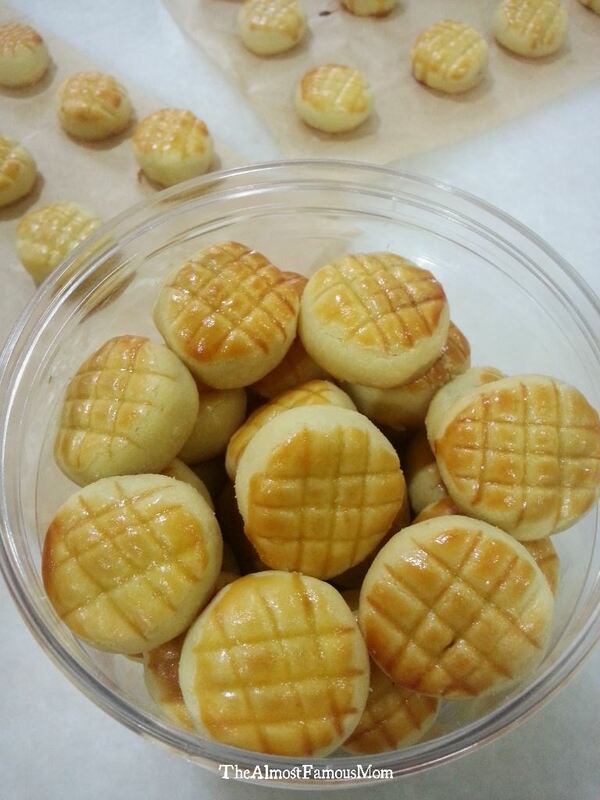 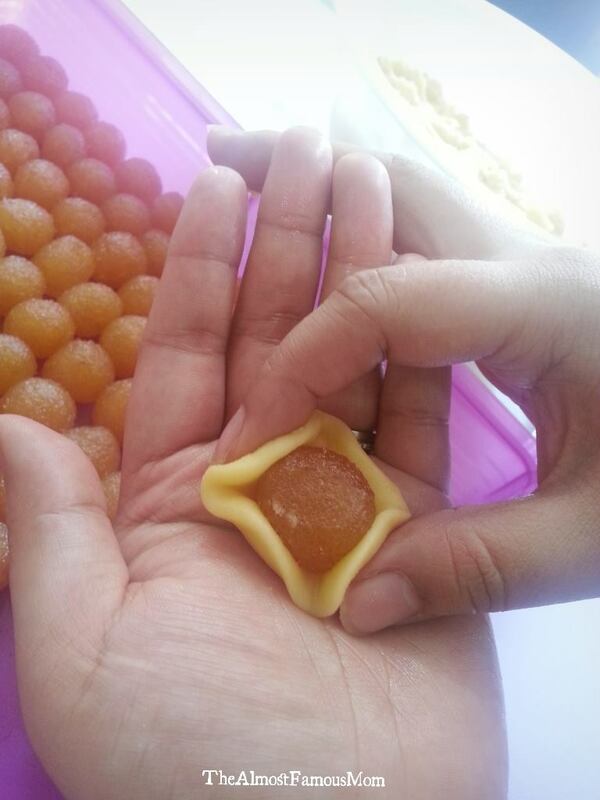 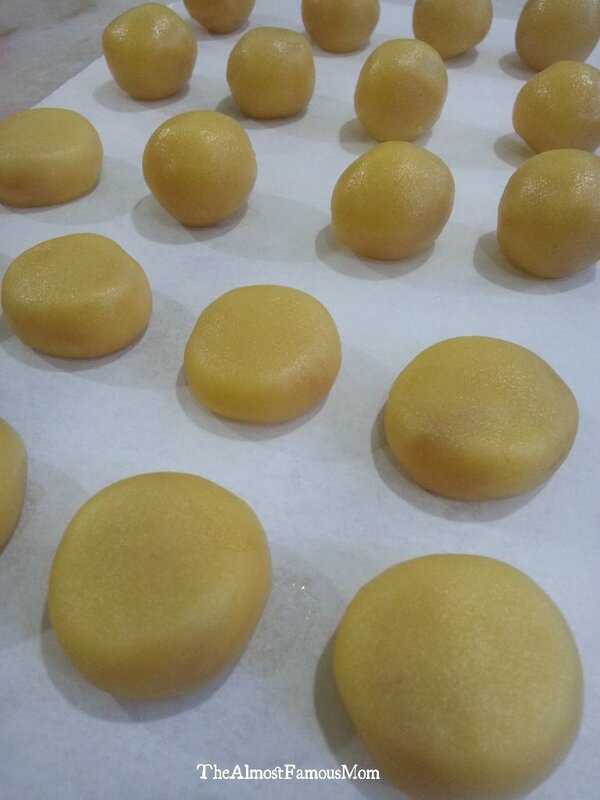 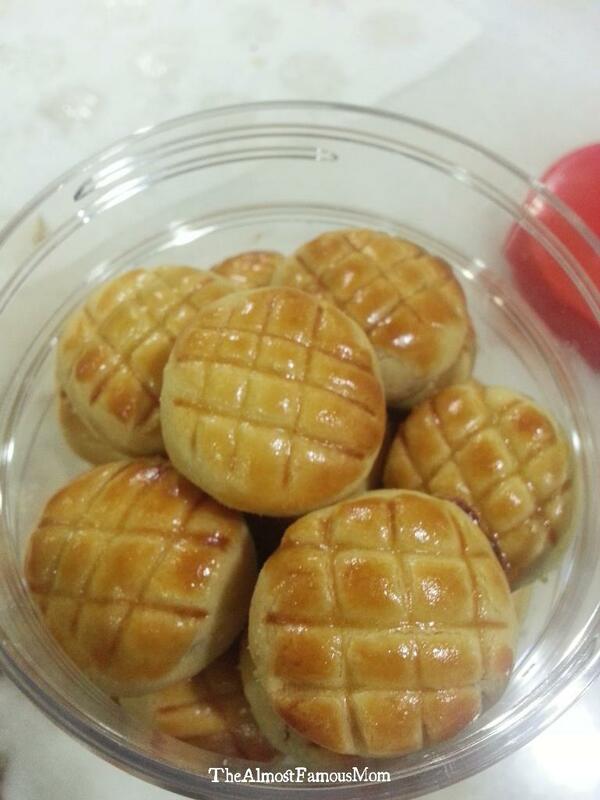 Pineapple tarts are yummy delicacies with an auspicious meaning that symbolizes prosperity and good luck. 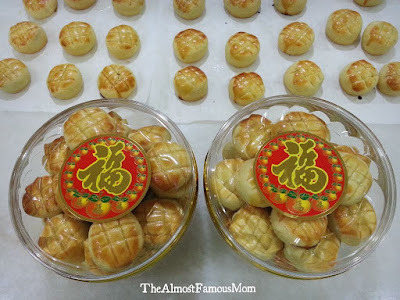 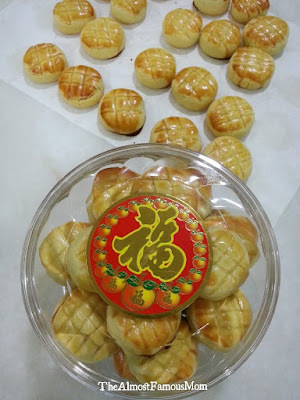 Pineapple tarts is a must-have in every house during Chinese New Year. 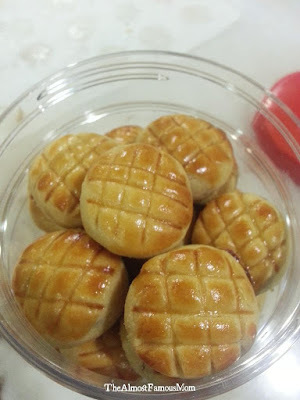 This year I wanted to bake Pineapple tarts that has very minimal ingredients and still able to achieve the crumbly and melt-in-mouth pastry. I've been searching for the melt-in-mouth and crumbly pineapple tart recipe and I can proudly share with you that I found it! 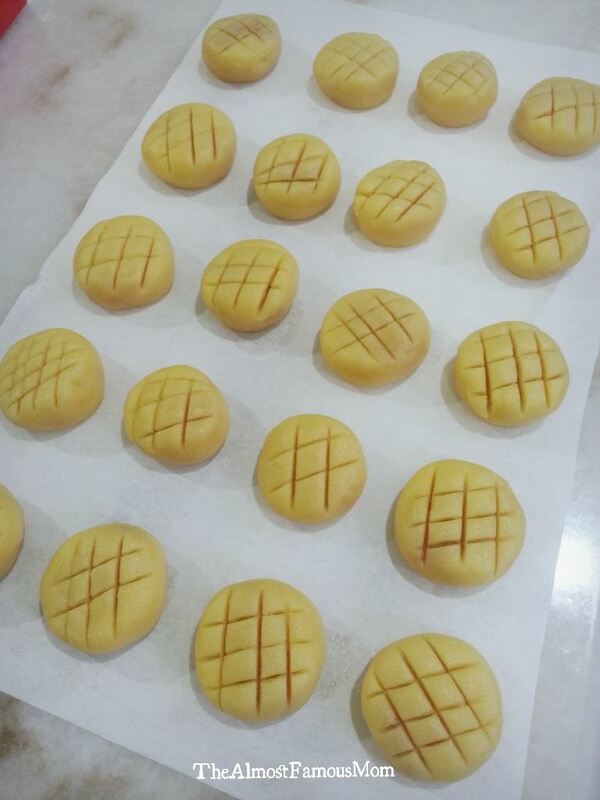 And of course, this year I have upgraded my skill in shaping the tarts compare to my ugly shaped tarts (AirBaked Pineapple Tarts) last year..LOL! 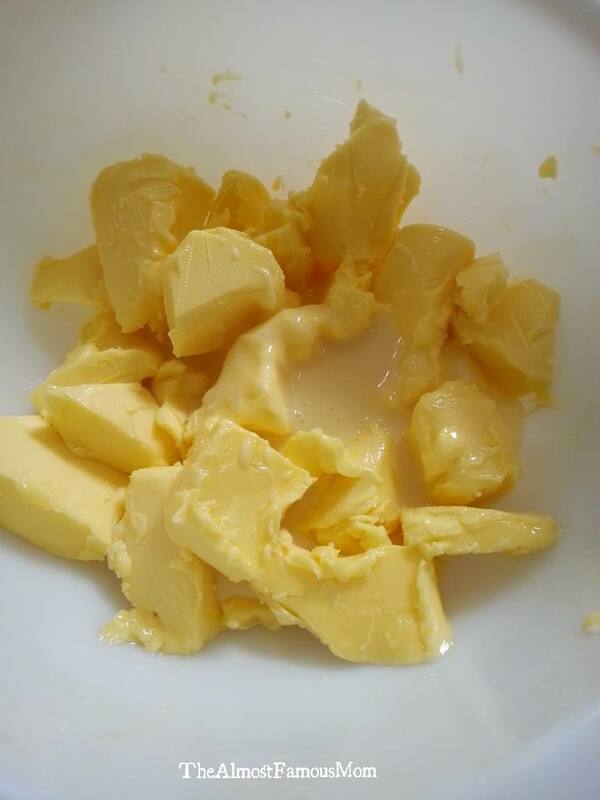 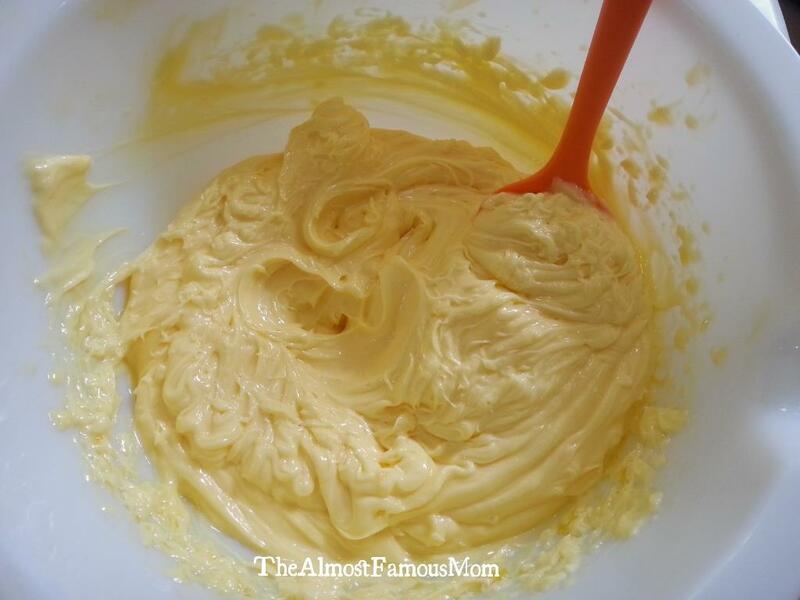 Cream together butter and sweetened condensed milk until light and fluffy. Add in the egg yolk one at a time, and beat until well combined. 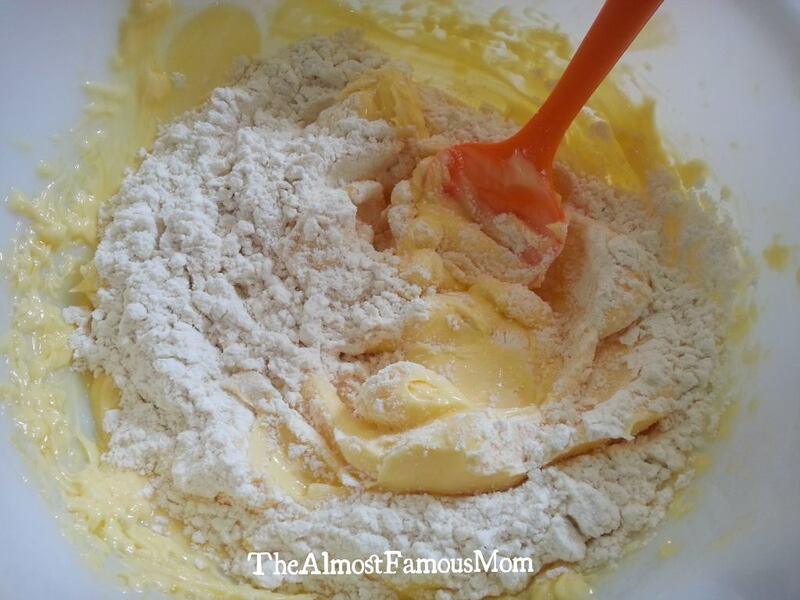 Mix in the flour slowly to from the pastry dough. The dough is ready when it is no longer sticky and can be molded easily. 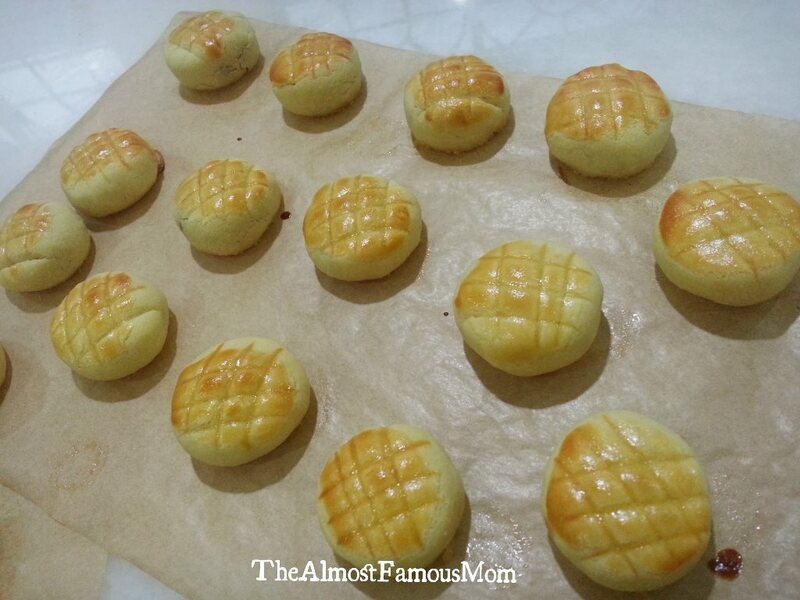 Preheat the oven at 165°C (For AirFryer, 170°C). 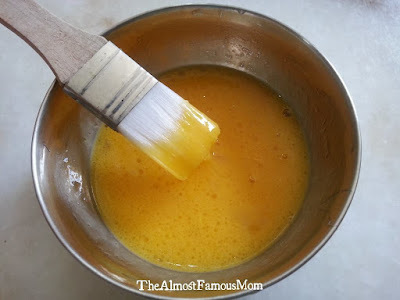 Prepare the glaze by mixing all the ingredients together in a small bowl and set aside. 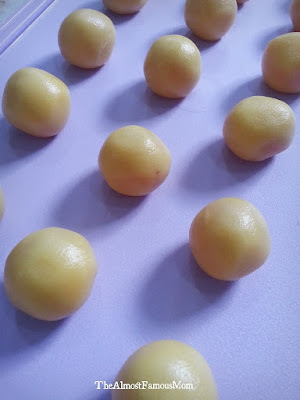 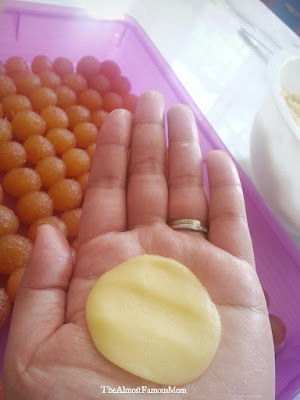 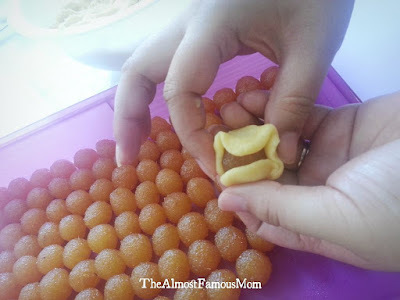 Roll the pastry dough into ball (about 10gm each), then flatten it on your palms and add a pineapple ball in the center. Fold the edges of the pastry dough to wrap the filling. 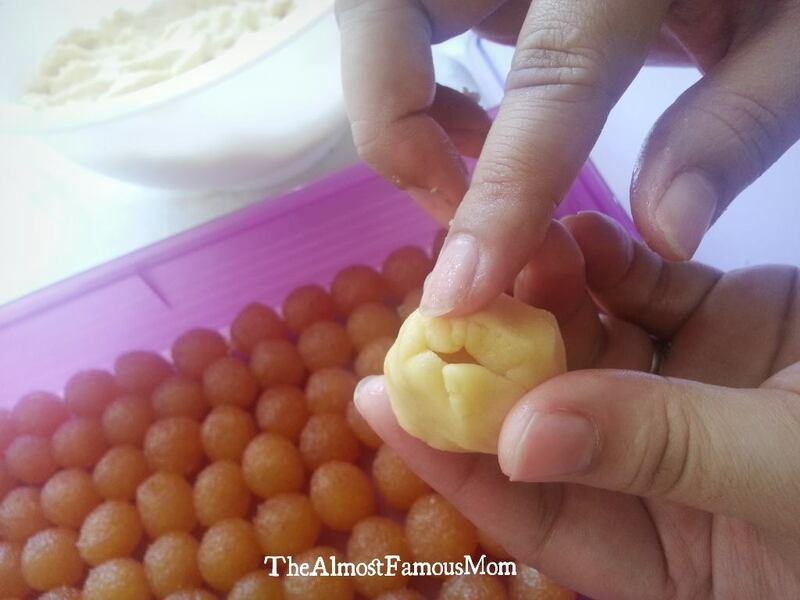 Finish it off by rolling into a round ball. 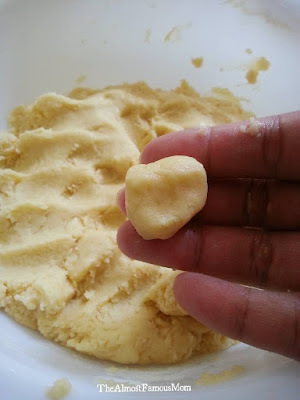 Slightly flatten the balls using your palm then use the back of the knife to cut the criss-cross shape on the pastry dough. 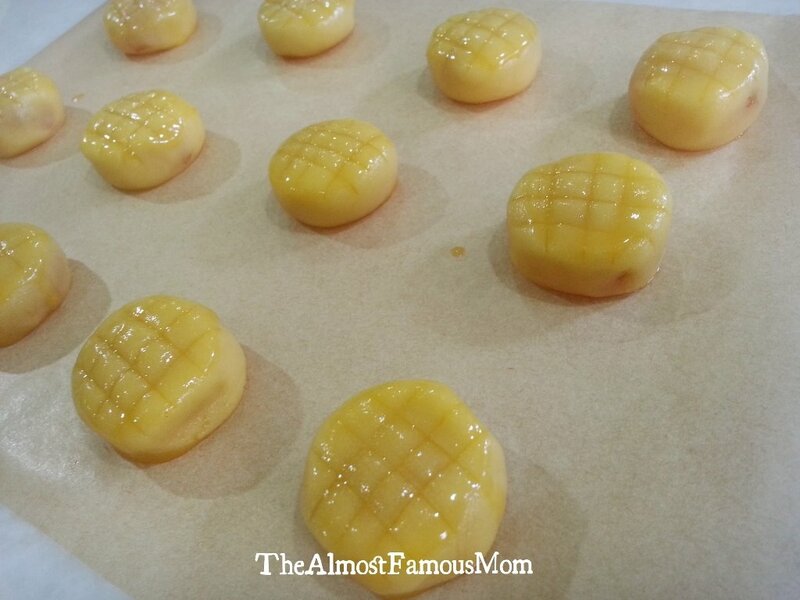 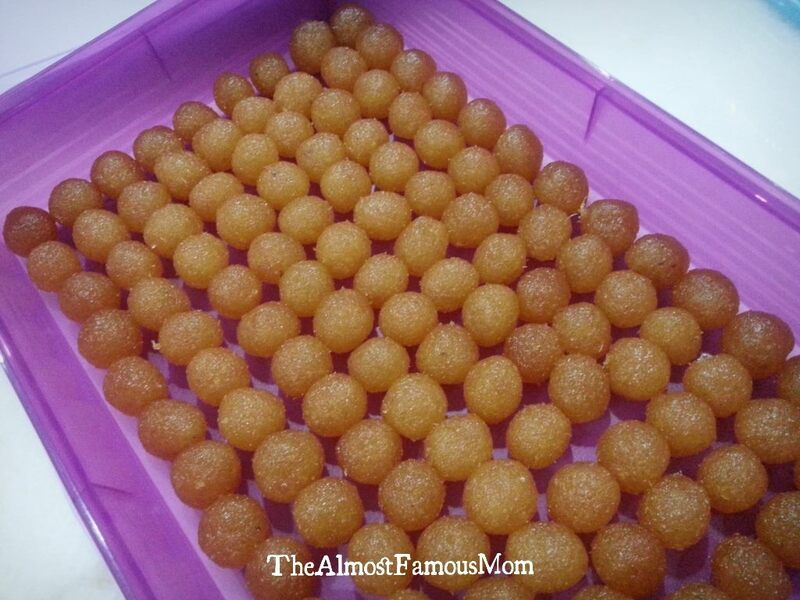 Place the tarts on a lined baking tray and brush balls with egg wash.
Bake it for 15-18 minutes or until golden brown.